Mercer Design Group, PC prepared design drawings, all permitting and construction administration for the Curtis Lane Apartments development for United Developers, Inc. as one of the H.U.D. Hope VI Re-Development Program’s urban improvement projects administered by The City of Fayetteville Metropolitan Housing Authority. 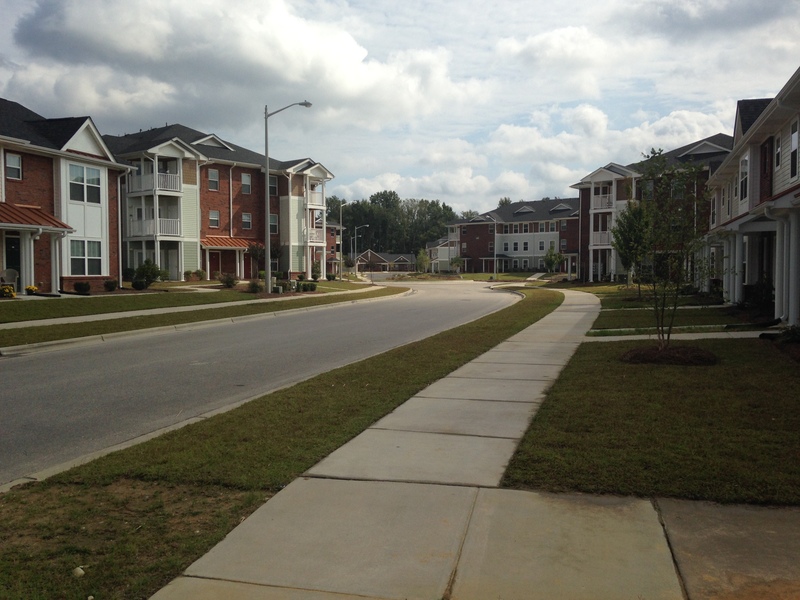 This project encompassed the re-construction of 1,500 Lf of public roadway with approximately 3,400 LF of public sidewalks, and the development of an 18 ac+ site for the construction of thirteen buildings totaling 184 Units. 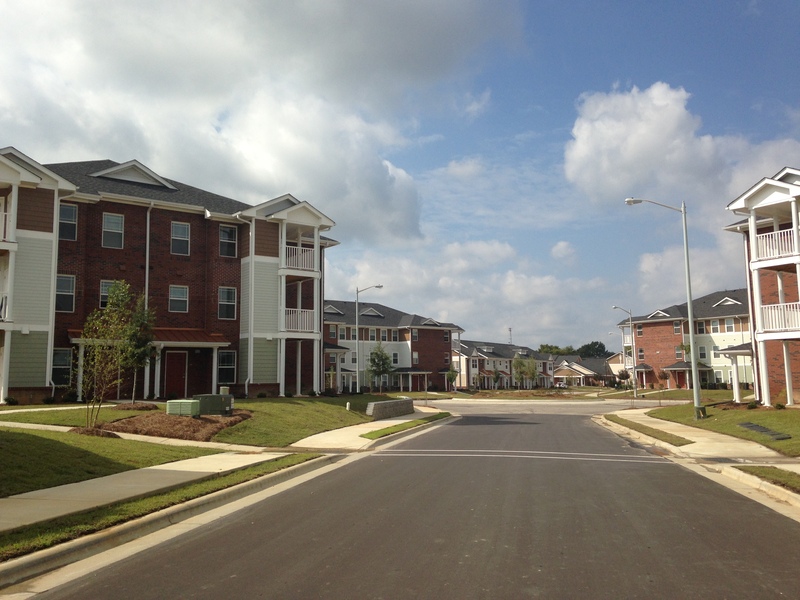 As a HUD sponsored project, the apartment complex required full ADA accessibility from City streets and parking areas to all units, including 3,400+LF of internal sidewalks designed to meet the accessibility requirements. 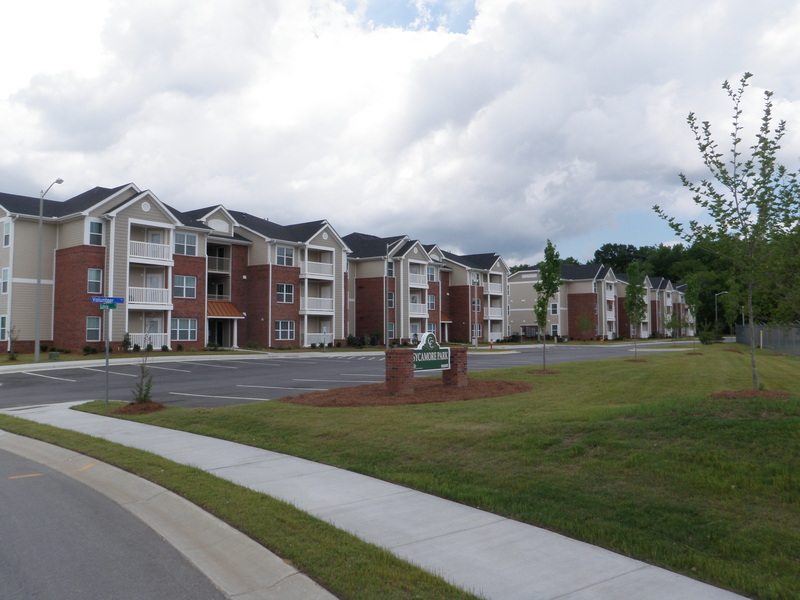 MDG worked closely with the Housing Authority, Public Works Commission (Utilities) and City of Fayetteville Engineering and Traffic Divisions during the planning, design, permitting and construction phases.